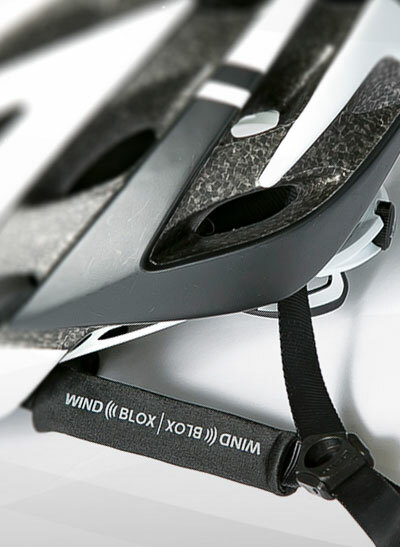 Wind-Blox patented design is wind tunnel tested and engineered to stop over 80% of wind noise--the HIGHEST rating of any other bicycle wind blocking alternative. Unlike ear plugs and headphones, Wind-Blox only block the wind noise, allowing you to hear approaching traffic, nature and fellow cyclists. Decibel meter tests show absolutely no discernible reduction in desired sounds--while significantly reducing wind noise. They are engineered of modern sports fabric and designed to look hi-tech. Wind-Blox are sportswear. In addition, they can reduce cold wind-induced ear aches, are excellent for hearing aid wearers, have US-based support, and include reflective lettering to increase night visibility. I felt as if I were able to discern cars approaching sooner and to hear some of the other city sounds that get drowned out by the wind.